A WINTER EMBROIDERED SUIT WITH SHAWL. Matching Shawl. A VIBRANT YELLOW/ TURQUOISE SHALWAR SUIT. TAIL LONG BACK. LUXURY KHADDAR PRET 2018 DESIGNER SUIT/ Like/ KHAADI/ NISHAT/ BEECHTREE/ ETHNIC! A LUXURY KHADDAR PRET EMBROIDERED SUIT! Elasticated Top Sleeve With Organza Bow. Linen Chaddar. Flattering Handkerchief Cut. Trousers With Button Detail. STUNNING PAKISTANI SUIT Like/ GUL AHMED/KHAADI/ NISHAT/ BEECHTREE/ ETHNIC/ EGO!! Hi There And Welcome To My Listing For: A VERY UNIQUE SUIT WITH STUNNING SLEEVES! *************************************************** * BRAND NEW ... * 3 PIECE PRINTED SUIT ... * NET SLEEVES WITH SEQUINS & DIAMONTES * BACK OPENING ... MEASUREMENTS ****************** Kameez ====== Armpit To Armpit ... 21.5” inches Waist ... 19.5” inches Hips ... 23” inches Sleeves ... 21” inches Length ... 42” inches Trousers ======= Length ... 40” inches Width ... 13” inches (Poncha) THANK YOU FOR LOOKING ... Any Questions Please Contact Me .. SORRY BUT NO RETURNS. Please Kindly Look At My Other Listings. Sari drop – 46“ (cm). Occasionally these may need washing before wearing - should this be the case it will say so in the details. Any notification after this date will not be considered. We accept all major credit cards. A STUNNING EMBROIDERED KURTA! 100% Cotton/ Lawn. PAKISTANI WINTER SHALWAR KAMEEZ Like/ KHADDI/ NISHAT/GUL AHMED/AL KARAM/ ETHNIC! Hi There And Welcome To My Listing For: A BEAUTIFUL WINTER SHALWAR KAMEEZ ******************************************** * Brand New ... * In A Linen Mix Material ... * 3 Piece .. MEASUREMENTS ****************** Armpit To Armpit ... 21.5” inches Hips ... 23” inches Sleeves ... 22” inches Length ... 48” inches Shalwar ====== Length ... 40.5” inches Poncha ... 9.5” inches THANK YOU FOR LOOKING... SORRY BUT NO RETURNS. Please Kindly Look At My Other Listings. PAKISTANI DESIGNER SHALWAR SUIT ... Hi There And Welcome To My Listing For: A VIBRANT PRINTED SHALWAR SUIT *************************************** * Thin Cotton Lawn .. * Small Coloured Ribbons On Dupatta ... MEASUREMENTS: Kameez ======= Armpit To Armpit ... 19.5" inches Waist ... 18" inches Hips ... 21" inches Sleeves ... 21" inches Length ... 38" inches Shalwar ======= Length ... 38.5"inches Poncha ... 7" inches Thank You For Looking ... SORRY BUT NO RETURNS ... Please kindly Look At My Other Listings. WARDA PRINTS KHADDAR SUIT/LIKE/ GUL AHMED/ KHAADI/ ETHNIC/NISHAT/J./ BEECHTREE ! A LOVELY THREE PIECE UNSTITCHED WARDA PRINT KADDAR SUIT! Printed Shirt. All COLOUR & SIZE AVAILABLE. A GORGEOUS LUXURY KHADDAR PRET EMBROIDERED SUIT! Organza Slip On Sleeve. 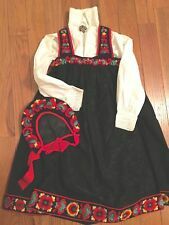 With Bow And Fringe. GOLD TRIMMING ON PAHLLU OF DUPATTA. BAREEZE BLACK WINTER EMBROIDERED KURTA Like GUL Ahmed/NISHAT/ Beechtree/ KHADDI! A GORGEOUS EMBROIDERED WINTER KURTA. ===================. Exclusive quality embrioded lawn Stiched suit. lawn trousers ( slight demage at the side of shirt and green patch on the trousers as shown in the last few pics ). Lawn sleeves. there can be slight diffrence in colour bc of flash light. DESIGNER |STILISTA : DESIGUAL. COLOR | COLORE : BLU, VIOLA. MATERIAL | MATERIALE : 100% COTONE. CIRCONFERENZA BACINO 120. LUNGHEZZA TOTALE 99. LUNGHEZZA MANICA 64. DESIGNER |STILISTA : DESIGUAL. MATERIAL | MATERIALE : 100% COTONE. COLOR | COLORE : NERO. CIRCONFERENZA BACINO 120. LUNGHEZZA TOTALE 92. LUNGHEZZA MANICA 16. GORGEOUS EMBROIDERED WINTER GUL AHMED SUIT/ Like/ KHADDI/ NISHAT/ ETHNIC/ EGO! Hi There And Welcome To My Listing For: A GORGEOUS GUL AHMED EMBROIDERED WINTER SUIT *********************************************************** * In Beautiful Embroidered Peacock Shades .... * Fully Embroidered Shirt ... * Modern Buttons ... * Printed Chaddar * Plain Trousers ... MEASUREMENTS ****************** Shirt ... Shoulder To Shoulder ... 15” inches Armpit To Armpit ... 22” inches Hips ... 25” inches Sleeves ... 21” inches Length ... 45.5” inches Trousers ... Length ... 39” inches Width ... 9” inches Thank You For Looking ... SORRY BUT NO RETURNS. Please Kindly Look At My Other Listings. PAKISTANI WINTER SHAWL SUIT/ Like/ GUL AHMED/ ZARA SHAHJAHAN/ AL KARAM/ NISHAT! A BEAUTIFUL WINTER SHAWL SUIT WITH EMBROIDERY. Woollen Printed Shawl. FULLY EMBROIDERED SHIRT. With Contrasting Embroidery On The Daman. PAKISTANI WINTER UNSTITCHED SUIT Like Gul Ahmed/KHADDI/NISHAT/BEECHTREE/ EGO! A LOVELY WINTER EMBROIDERED UNSTITCHED SUIT. Semi Stitched. 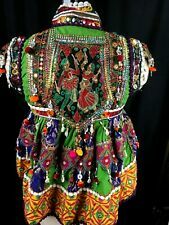 LOVELY PAKISTANI EMBROIDERED SHALWAR SUIT Like/ Gul Ahmed/ NISHAT/ Khaadi/ EGO! A BLACK EMBROIDERED SHALWAR SUIT. Shalwar Is In A Different Crepe Material. AN AUTHENTIC BAREEZE EMBROIDERED KURTA. Here for sale are a set of antique panels. Intricate hand sewn silver and gold threads on a dark peach fabric. I believe they are Asian, and part of the groom's wedding outfit. These would have been sewn on as a collar, cuffs and panels at the front. New Full Dress Kilt Sporran Formal Seal Skin Celtic Cantle Antique Welsh Dragon Badge. Scottish Full Dress Kilt Sporran Formal Seal Skin. Full Dress Kilt Sporran Celtic Cantle Antique Finish. Leather Sporran Chain 50" Long Adjustable. 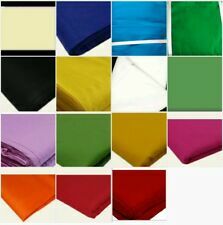 Punjabi Sikh Paghri Dastar Turban Fabric Full Voile 4+4+4 Each =12 meter length. Quilted lining needs reattaching in a couple spots (not major). Talon zipper. Holes in pockets. See all pics. No size label. Pit to pit 21", length 28", sleeve 23". This is an embellished fine silk sari that delicate translucent sequins and beadwork all over. Sari Blouse. Sari drop – 48“ (cm). Length of blouse from armpit to hem – 6 ½“/15cm. Length of blouse from shoulder to hem – 13 ½“/32cm. Occasionally these may need washing before wearing - should this be the case it will say so in the details. · The sizes quoted i.e. 10, 12 etc. are given just an approximation so that it gives you guideline - it is not a definitive size. Hi There And Welcome To My Listing For: AN ABSOLUTELY STUNNING CUSTOM MADE LONG KURTA! ************************************************************** * New And Never Worn ... * Custom Made In Pakistani ... * Mixture Of COTTON/ LINEN/ BANARSI * AN EXCLUSIVE ONE OFF!!! MEASUREMENTS: ****************** Armpit To Armpit ... 23” inches Hips ... 26” inches Sleeves ... 19” inches Length ... 47” inches Thank You For Looking ... SORRY BUT NO RETURNS. Please Kindly Look At My Other Listings. Stunning Ladies Indian Traditional Size 8/10 Short sleeve Trouser Suit. Stunning flower embroidery, dip die dupatta. A STUNNING WINTER SUIT WITH PALACHI SHAWL. PALACHI SHAWL. A GORGEOUS AND STUNNING PAIR OF KUSSAY! With KUNDHAN And PEARLS. Pakistani Size 11. Ideal For Wedding And Parties. From Toe To Heel. 27.5 cms. Gold Colour. Silky chiffon shawl with contrasting bright green trim around the outer edges, this is embellished with lots of beads, tilla and small pearls. Any notification after this date will not be considered. Occasionally these may need washing before wearing - should this be the case it will say so in the details. The hem is finished with a silver braid trim. It has a high neck at the back which closes with a zip. RARE! GENUINE ISSUE BLACK WATCH ROYAL REGIMENT KILT MILITARY SCOTTISH! Sari Blouse. Sari drop – 44“ (105cm). Preloved – blouse has noticeable marks around the armholes, this will need to be dry-cleaned, alternatively it could be replaced. Length of blouse from armpit to hem – 6“/14cm. MATERIAL\MATERIALE : 100% COTONE. DESIGNER\STILISTA :GAS. MADE IN : ITALIA. CIRCUMFERENCE SKIRT 124. The design is simple and is equipped with Zipper making it suitable for nursing mothers. Can be used for formal outing. By Using High quality cotton Japan best in its class, cool so comfortable use. MATERIAL\MATERIALE : ESTERNO 42% LANA VERGINE 26% POLIESTERE 14% VISCOSA 13% POLIAMMIDE 5% ELASTICO FODERA 70% VISCOSA 30% POLIESTERE.